This program is delivered by 12 highly qualified lecturers with a wide experience in the field and a complete understanding of the Response to Intervention approach and SENCo’s role. Two lecture introduction to what is a SENCo, what is Inclusion, discussing the history to today, prerequisites for a program, the roles of school administration and staff, the role of assessment, and dealing with difficult circumstances. Brain, Theory of learning, Cognitive Development, Cognition (Verbal, Nonverbal) and breakdowns in Attention &Memory: This lecture will be the prerequisite to the course, an in-depth look at the processing model and the breakdowns, which in turn affect learning. Learn how sensory skills are developed in relation to the processing model, and what problems might often occur and how to identify their manifestations. Sensory Impairment (perceptual motor and vision): What are the visual and motor perception skills and the impact of their impairment on the learning process? Speech and Language development and Delayed Skills Manifestations: The aim of this lecture is to present various modes of communication (verbal & non-verbal) and to discuss some of the commonly encountered speech and language disorders and their general effects in a school setting. You will also learn the reasons why do they occur? And how should you deal with such children in the classroom to allow them to overcome their difficulty? Establishing the problems of children who have attention problems, and understanding the underlying reasons, clarifies the profile of each child, his/her specific needs, and subsequent intervention program. Memory takes place both during and after the processing of information. Individual differences in the ability to both acquire information and to learn various skills will, in part, depend on a child’s strengths and weaknesses in the different forms of memory. Understanding memory thus contributes to the understanding of children’s learning differences as well as to what strategies teachers can use to help them to learn more effectively. We will also discuss Interventions and accommodations: Individual education plans, roles: Targeting the children that need support whether they are significantly below expected norms or find it difficult to learn in a group and implementing the personalized interventions, also in other areas such as communication, social or behavioral skills. Academic Skills start with exploring the development of reading and the underlying causes for different types of reading difficulties for different age groups. Here we will discuss research-based resources and interventions proven to be successful worldwide within the classroom targeting different types of difficulties encountered by children. How writing is related to the processing model and the effect of skills acquisition on written expression. 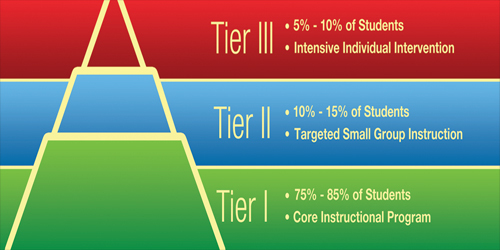 What are the skills and strategies students require to become effective writers and how to establish goals, plan programs, deliver instruction and assess students’ progress in ways that address the needs of all students? Understanding the interaction between word reading and spelling development is crucial especially to comprehend the effects of spelling difficulties on written expression and the appropriate interventions that should be used. In two lectures we will discuss how mathematical skills are acquired and develop starting from early years to adulthood and how delayed skills are manifested within the classroom and the appropriate interventions that should be used and when. Classroom Management and Intervention Strategies: Classroom management is the process by which teachers and school staff create and maintain appropriate behavior of students in classroom settings. The purpose of implementing classroom management strategies is to enhance positive behavior and increase student academic engagement.